Key Chains & Bag Accessories There are 18 products. 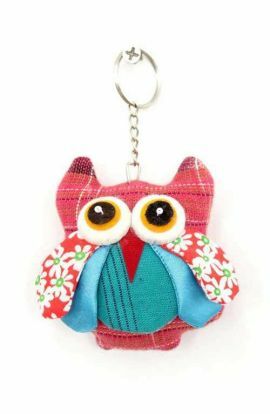 Adorable owl key chain handmade in Thailand. This boho accessory is the perfect boho keychain for your house or car keys. 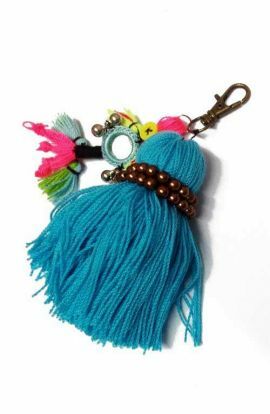 Length: 3"
Cute decorated beaded tassel keychain accessory handmade in Thailand. This boho accessory is the perfect bohemian keychain for your beautiful bags. 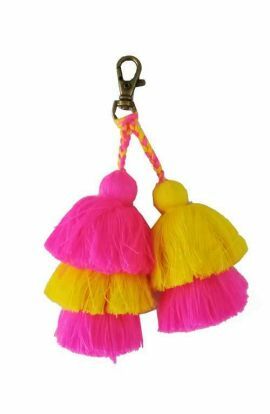 Length - 6"
Adorable fluorescent tassel key chain handmade in Thailand. 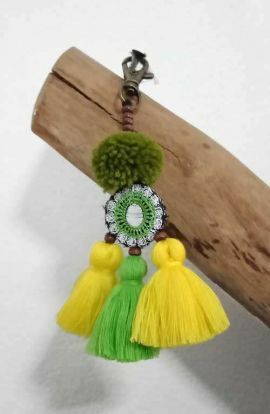 Total Length 5"
Cute decorated tassel keychain accessory handmade in Thailand. This boho accessory is the bohemian key chain for bag decorations. 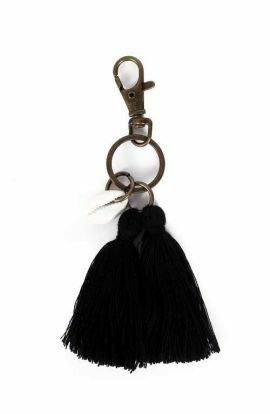 Length - 6"
Adorable double tassel key chain accessory in black handmade in Thailand. 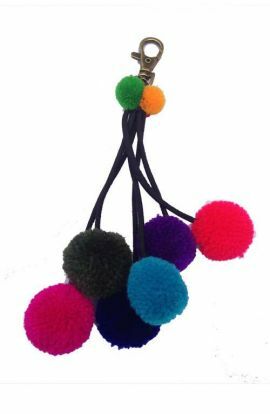 Length - 5"
Colorful long pom pom boho key chain accessory with cute animal pendants and bells. This boho accessory is an ideal fashion accessory to complete boho look! 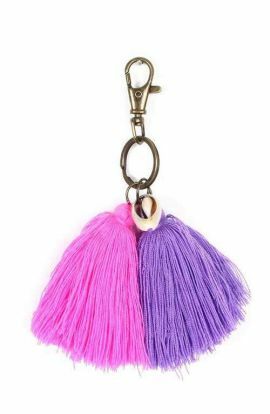 Height: 9"
Adorable pink and purple tassel key chain accessory handmade in Thailand. 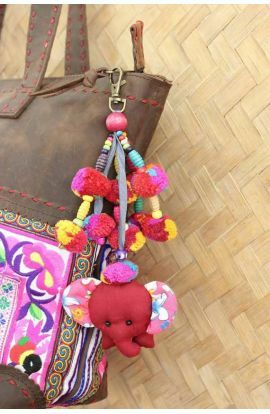 Length 5"
Handmade elephant key chain accessory with pom pom's. 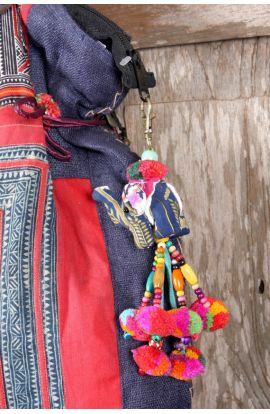 Bring your bag to life with this gorgeous key chain accessory made in Thailand. 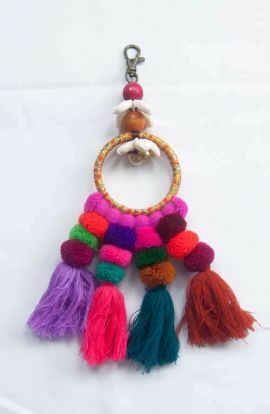 An adorable tassels mirror key chain handmade with love in Thailand. 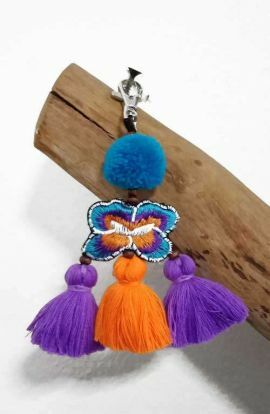 Size : 3.5"
Cute decorated tassel keychain accessory handmade in Thailand. This boho accessory is an ideal fashion accessory to complete boho look! 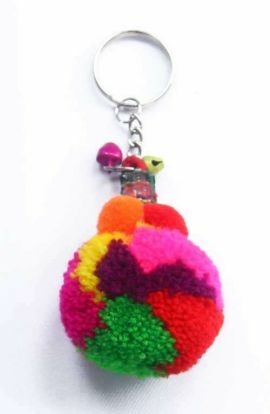 Length - 6"
Colorful key chain pom pom accessory handmade in Thailand. Length 7"
Handmade elephant key chain accessory with pom poms. 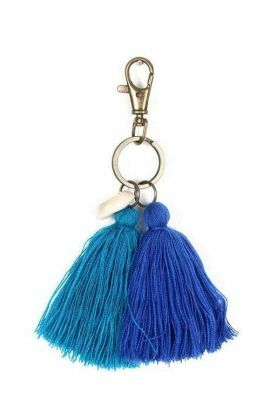 Adorable blue and green tassel key chain accessory handmade in Thailand. Length 5"
A cute bohemian handmade elephant key chain accessory. 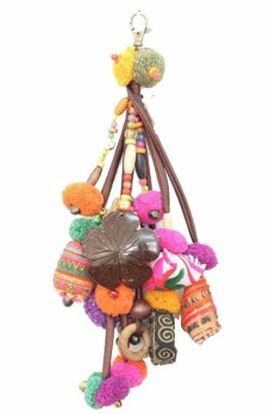 This oversized boho keychain accessory is handmade with gorgeous cotton pom-poms and tassels. This boho accessory is an ideal fashion accessory to complete boho look! 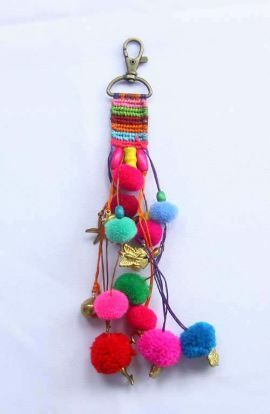 Length: 11" Width - 4"
Adorable decorated pom pom boho keychain accessory handmade in Thailand. This boho accessory is an ideal fashion accessory to complete boho look!